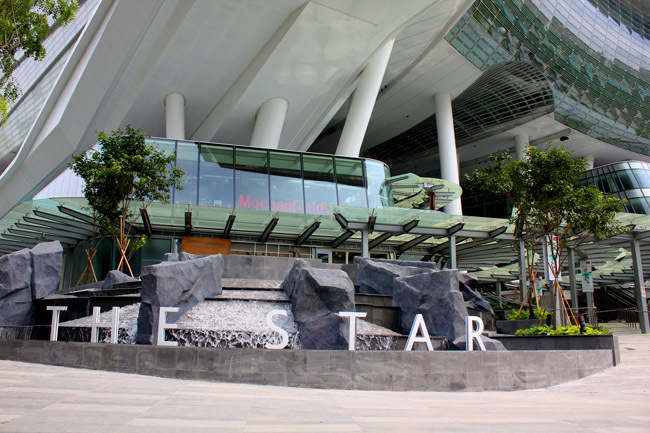 One of the most anticipated malls in Singapore, The Star Vista has finally opened at Buona Vista! Are you excited or what? The Star is quite unlike any other. From a distance, the architectural design is spectacular and looks like a ship – probably inspired from the story of Noah’s Ark. 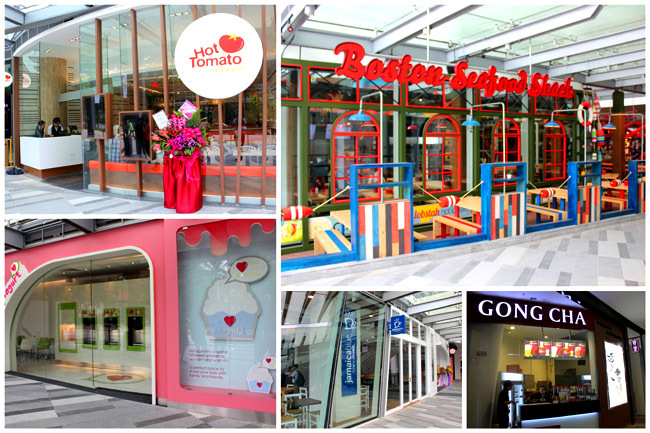 The lower 3 levels are operated by CapitaMalls Asia, and makes this the first naturally cooled mall in Singapore. That means no aircon when you walk outside the shops (and I was sweating a little)! But, it does feel like you are taking a stroll in the park with natural air. Located above The Star Vista is The Star Performing Arts Centre, owned and managed by Rock Productions, and is one of Singapore’s largest performance venues with a 5,000 seat auditorium. 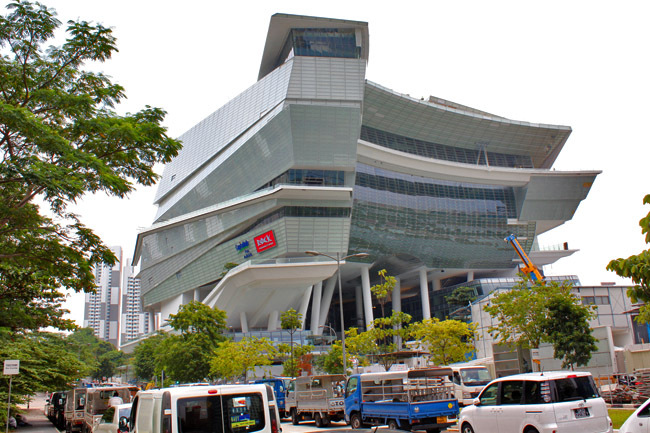 This is also where New Creation Church ministered by Senior Pastor Joseph Prince will have its weekly Sunday services at the upper room after it moves out of Suntec. 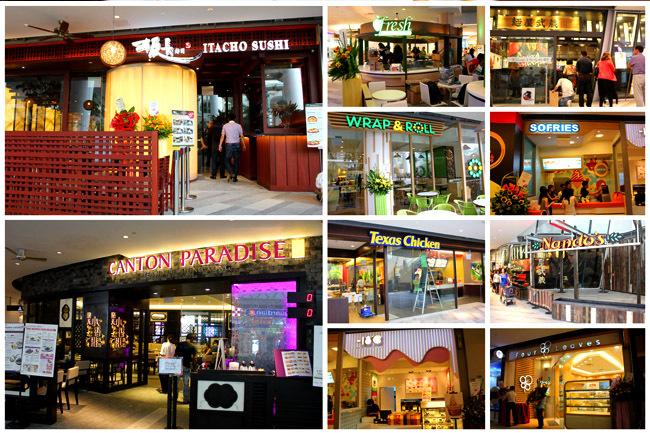 Here is a mall directory of the various Food places at The Star Vista. 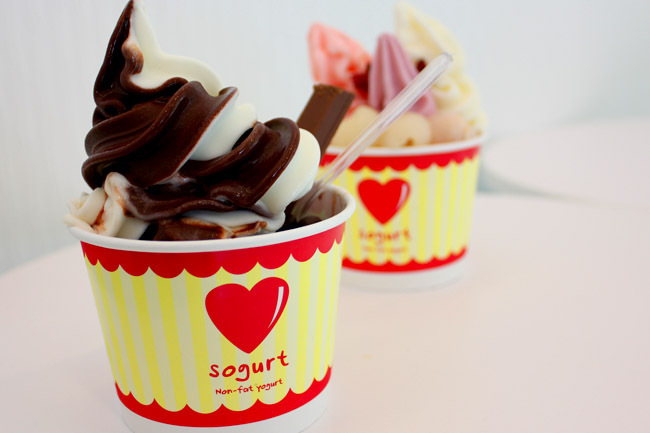 Good news as from the list, you will know there is no lack of food choices (Note: Not all shops are opened yet). Boston Seafood Shack has the exterior design that caught my attention most – a fun colourful carnival type of décor. 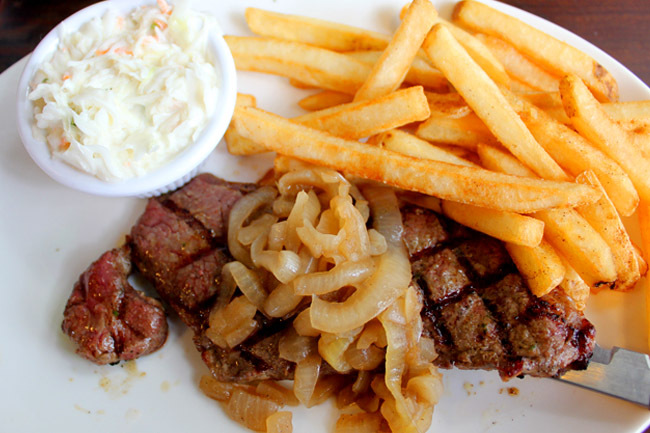 The food offers hearty flavours of the Bostonian harbour such as Golden-Battered Fish & Chips, Boston Clam Chowder and Boston Premium Lobstar Rolls. The Battered Cod ($12.90) comes wrapped in paper (so Aussie, I like) with servings of vinegar on side (so British, I like). 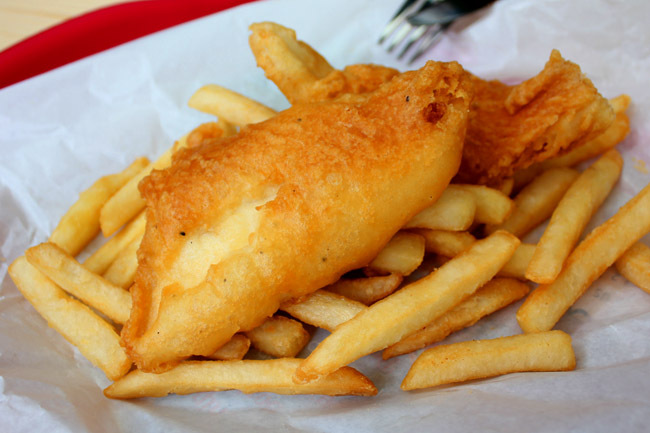 The batter is deliciously crisp, but the fries reek of a fishy after-taste which is quite a spoiler. Has potential. 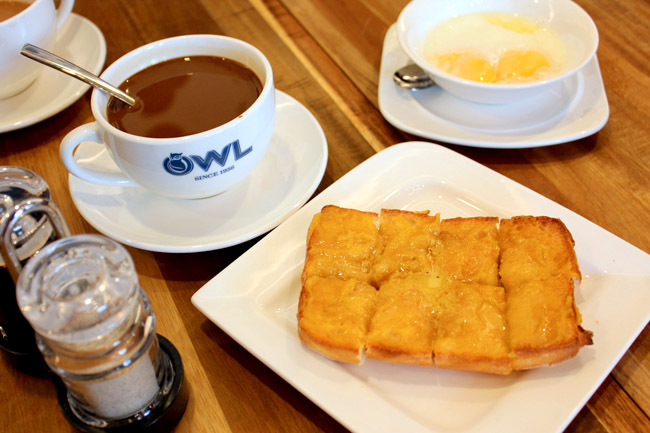 One of Singapore’s most familiar coffee brand Owl has its developed its first Owl café, which serves toast and an array of Asian-fusion delights such as Hainanese Curry Chicken, Assam Mango Chicken, Chicken Meat Ball Soup and Soft Shell Chill Crab Pasta (very similar to Old Town White Coffee’s concept). The Toast is unexpectedly tasty, with crispy evenly toasted sides, and generous topping of kaya and fragrant butter. Both the Kopi and Teh, unfortunately, were bad – one too thick and saccharine sweet, the later diluted and watery thin. We know this is first day on its job, and should deserve a second and third chance. The Kitchen by Koufu is the only food court at the Star Vista, with well-loved local favourites like Chicken Rice, home-made Yong Tau Foo, Ban Mian and Mixed Vegetable Rice amongst others. There is also a wide variety of International cuisine represented by the choice of Japanese, Korean, Western or Hong Kong delights. My main question is: Why is the dessert and fruit juice stall outside the food court in the open? This will probably be my default eating place for cheaper eats. 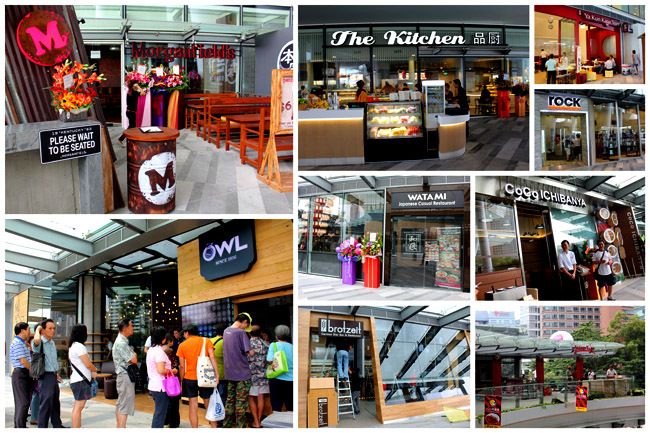 With The Star Vista now opened, which is that one Food Outlet that you want to try first? 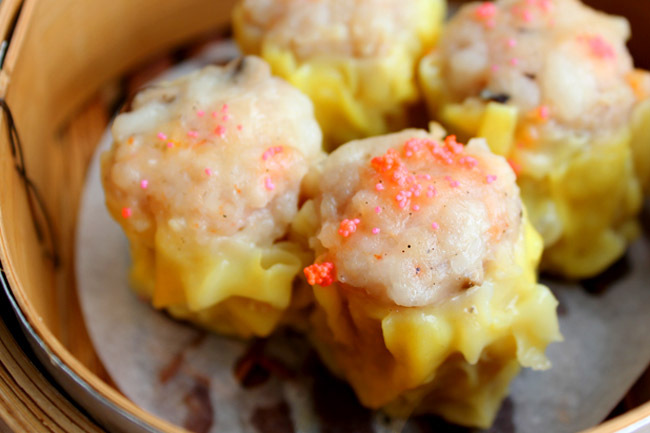 ← The Peninsula Hong Kong – Superb Divine Egg Custard Mooncakes, Available in Singapore! Thanks for the feedback, really appreciate it. We will continue to work on improving the quality of our items. I do apologise for the out of stock items, the turnout for Day 1 was somewhat higher than our initial projections. But that is a good thing! I hope you will come back for another round, I’m sure that we will have the items ready for you. Plus you can also take advantage of our $6 pints of beer! Thank you Kevin, Morganfield’s looks promising. Will be back to try your ribs and black pepper chicken. Cheers! we went to the Itacho Sushi and it was an unpleasant experience… the aircon was not working in the restaurant, but we can understand such issues for newly opened restaurants. can still sweat a bit. but the service was horrific. the waitress brought us a wrong order so we unknowingly started eating (cos all salads look the same to us). after a while, she then came over with the correct order and exclaimed that we ate the wrong order. instead of apologising, she told us she had to take away our correct order since we’ve already eaten the wrong order (HAR?). of course we then called for the manager and got it resolved. but there was totally no “sorry” from that waitress at all, and she literally threw us back the correct order. and yes, she speaks perfect chinese and she is not a Singaporean. So jia lat! Think not enough training. But I usually give the newly opened shops a 2nd chance. WRAP AND ROLL IS CRAP – service and food. How CRAP??? I didn’t want to go in, as didn’t look too appealing? Yes I agree with cloudywind, Itacho svc is extremely bad. My Friends and I experience the bad service as well. The table is so small and they keep piling up the dishes without clearing the empty plates. And cannot eat peacefully, just no adequate in serving the customer. The waitress cannot understand English cos she is not local but from China. Very bad attitude. Ion Orchard svc is better. I am surprise to see half of their employees are from China and further, they are very reluctant to serve the customer. Just wanting you to finish and get off the place. Not dinning there anymore. I guess this is a problem faced by all the F&B now. Cannot find enough good service staff. We had a very good experience at Wrap & Roll. The spring rolls were very good. The royal beef noodle soup was flavourful. My friend does not eat beef and had the seafood soup which was good as well. Chrysantheum lime drink was refreshing. The service was courteous so no issues there.